Today I set out to get my study back into workable shape following its brief metamorphosis into a Christmas spare bedroom (sorry about all the books, and the inflatable bed, little brother). 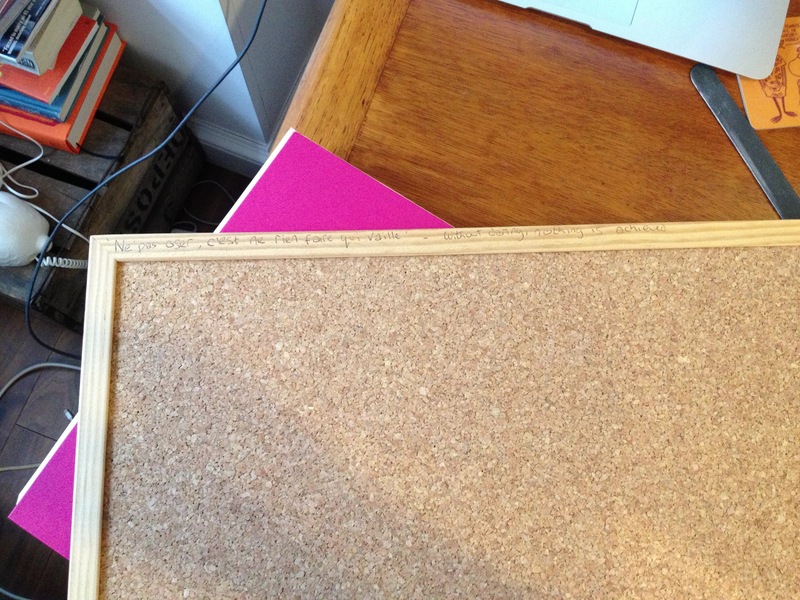 Whilst hoiking furniture round I unearthed a small pinboard I hadn’t seen for a while (see above for my current gargantuan school classroom size one, which I use for inspiration and visual plot planning). 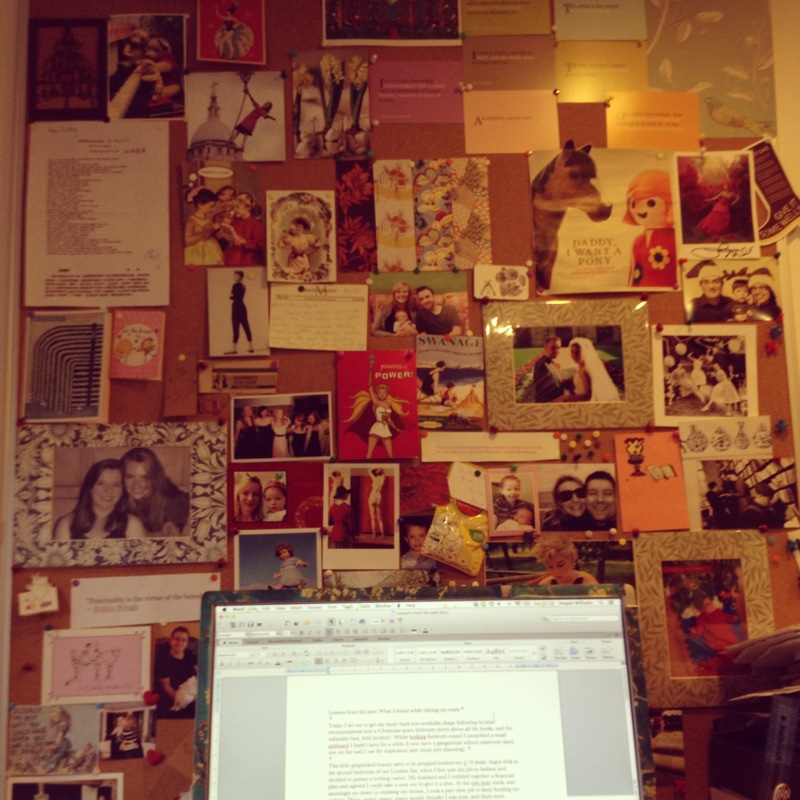 This little pinpricked beauty (to the left) used to be propped behind my £19 shaky Argos desk in the second bedroom of our London flat, when I first quit my job in fashion and decided to pursue a writing career. My husband and I cobbled together a financial plan and agreed I could take a year out to give it a shot. 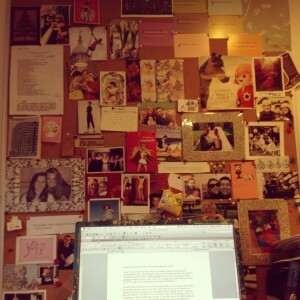 At the one year mark, and seemingly no closer to realising my dream, I took a part time job to keep funding my writing. I believe it’s by Napoleon Bonaparte. My past self was brave and wise to write that. Sometimes in life you have to jump. As I look back at 2013, the year my first book was published, but also the year I lost 6 months to a chronic health condition that saw me unable to type and fearing the repercussions if I did, I realise it’s time to be brave again. I have to jump. I have to try. I’ve typed up the quote, printed it out and stuck it once more to my current pinboard. Wishing us all a happy, and daring 2014.